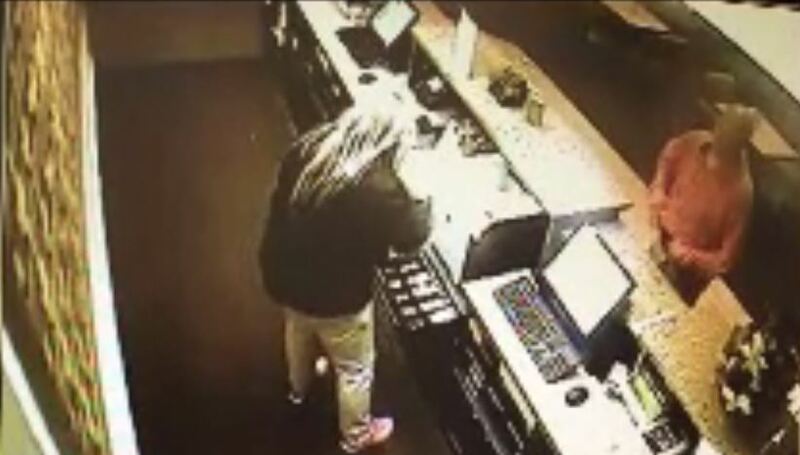 Ocala, Florida — Last night, at approximately 8:45 p.m., an employee of the La Quinta Inn, located at SW 36th Avenue, Ocala was robbed at gunpoint. K-9 Officer Walsh was able to establish a good track, but the suspect was able to get away. According to the police report, the robber got away with $185.00. He is described as a white male in his 50s early 60s , 6 foot tall, bald, and missing some of his upper teeth. Take a good look at the video. Anyone with information is asked to contact the Ocala Police Department at 352-369-7000 or tips may also be submitted through their mobile app, MyPD. Tips may also be submitted through Crime Stoppers of Marion County at 352-368-STOP (7867), at www.ocalacrimestoppers.com , or by texting keyword 368STOP to 274637.